Original iconic black dial with three registers, luminous baton markers with aged patina matching the patina on the luminous material of the hours/minutes hands, ‘Pre-Professional’ dial with T SWISS MADE T at the bottom. 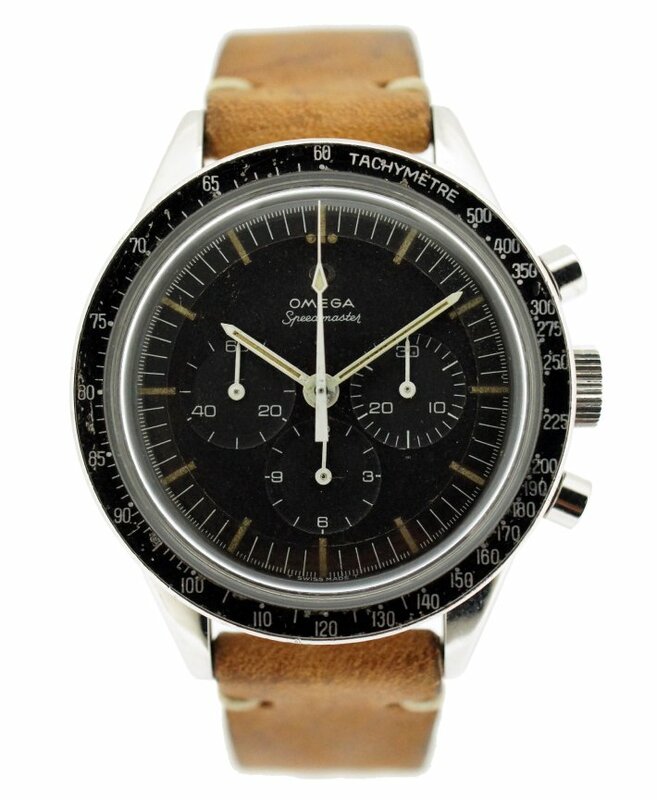 39.5mm, Stainless Steel, originally aged case in good condition with original bezel insert and Omega plexiglass. NOTES: The 105.003 reference is nicknamed 'Ed White' after the astronaut who famously wore this reference into space in 1965. The straight lug case was discontinued in 1967-68 at the end of the production of the 321 caliber and are not only rare, but highly collectible.